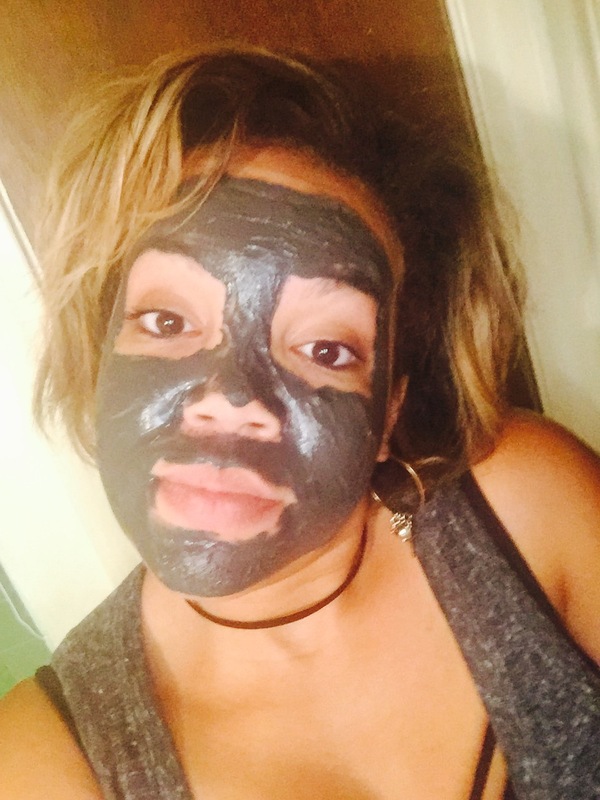 Alright, so I’m sure that if you’re a skincare loving product whore like I am (tee hee hee) you already know all about the benefits of using charcoal-infused skincare products on your face. However, you already went ahead and clicked on this post, which means that I’m supposed to tell you something that you don’t already know. If that’s the case, I’m sure that I won’t. I’m not a dermatologist or anything fancy like that. BUT I can tell you that I’ve always (meaning ever since high school) had the most stubborn blackheads that like to lodge their ugly heads into my skin. I would usually just try to pick them out myself (which I learned later in life from a derm to be a big, huge no-no because you could easily scar your skin by doing so). Then, once I started exfoliating, I noticed that those blackheads weren’t as apt to rear their ugly heads. However, it wasn’t until I started using charcoal-infused skincare products on a more regular basis that I noticed the blackheads were finally really starting to disappear! Now (and even as I type this) my skin is pretty much blackhead-free and my pores look amazing. That’s because active charcoal that’s found in these skincare products works like a vacuum to draw bacteria and dirt to the surface of your skin. In fact, active charcoal can absorb thousands of times its own mass in harmful substances meaning that sucking up blackheads would be no big deal for this ingredient. Even if you don’t have blackheads, I still highly recommend that you try this ingredient in the form of a weekly mask or exfoliant just to clear your skin of all the gunk that likes to accumulate there. It’s also extremely effective at treating acne (but I’d make sure to speak with my dermatologist before using first, just to make sure it doesn’t clash with any other prescribed skincare ingredients you’re already using). 1. Yes To Tomatoes Detoxifying Charcoal Facial Wipes: As much as I love my skincare regimen, sometimes I am just too tired at the end of the day to get it in. So, I reach for these skincare wipes which work to remove my makeup (even stubborn mascara!). I love how refreshed they leave my skin feeling…which can be kind of rare for a face wipe to do. 2. Biore Deep Pore Charcoal Cleanser: As far as facial cleansers go, I love this one because it’s affordable (you can get it at the drugstore!) and it doesn’t leave my skin feeling dry and tight after I use it. 3. Boscia Charcoal Makeup Melter: This stuff is really cool! I put it on and it not only removes every bit of makeup on my face, but leaves it feeling very moisturized, which I totally didn’t expect. I think I expected it to feel greasy since it seems to have more of an oil-like base, but NOPE! It’s amazing. 4. Clinique Sonic System City Block Purifying Cleansing Brush Head: You’ll need to have the Clinique Sonic System in order to use this one. Just snap on this brush head and prepare for exfoliation bliss. 5. Origins Clear Improvement Acne Charcoal Mask: This one is my absolute favorite! It’s a mask that I like to use once every couple of weeks. I also like to dab it on problem spots like my nose and chin (it seems like these areas on my face always like to turn into little blackhead villages for whatever reason).